Welcome back to our home! I knew you really missed visiting our home sweet sweet! Glad to say that we are also celebrating our first year anniversary here in our new home! 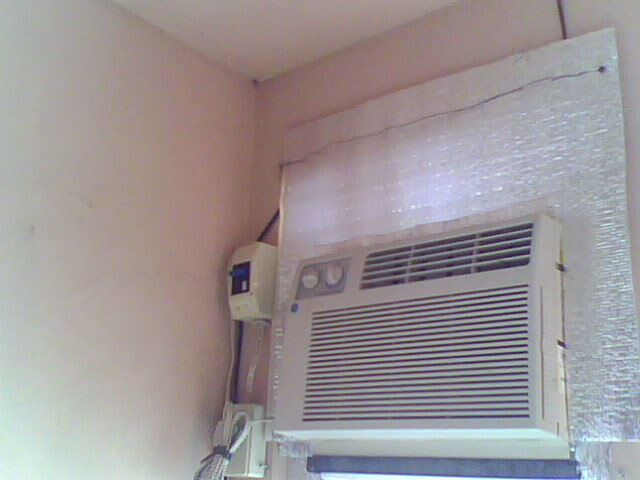 Last month, the latest appliance that we have bought is the room air-con. And this new air-con was just recently installed! 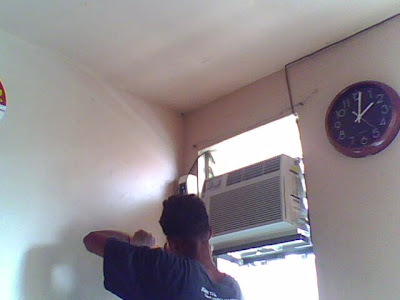 Since we were experiencing too much heat this summer due to the El Nino phenomenon, we decided to buy an air-con for our room. Its purpose also is not only to cool ourselves but to cool our important appliances as well! And this is what we bought, a GE (General Electric) bran air-conditioner! 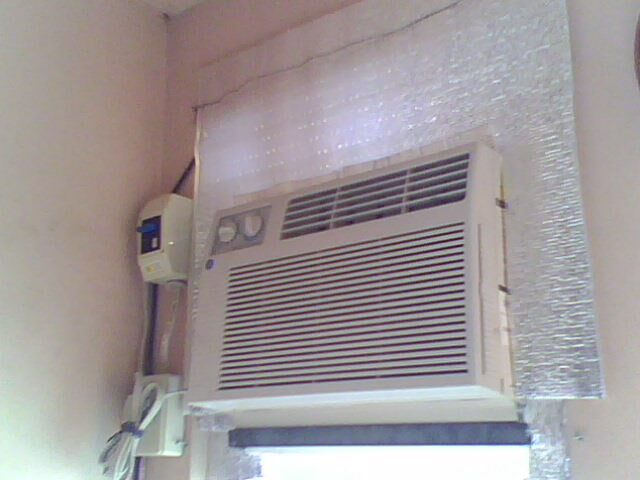 This a 0.75 hp air-con suited to cool a room. 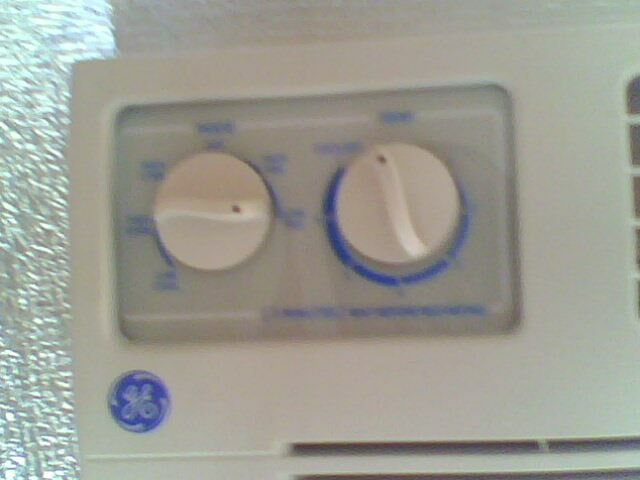 This air-con has a modern design. There is no water-leaking in this unit every time you use it so you don't have a problem of putting hose to it for any water drops! We installed it in our sala. Hmmm...why in the sala and not in our bedroom?! Well, it is because our important appliances that needs to be cooled like our Sony Bravia LCD TV and our LCD flascreen PC were all in our sala! Some other time, we will also bought air-con for our bedroom! We asked a carpenter to construct an air-con frame in our window. Also another man do the wirings and electrical for our unit. The construction and welding of the air-con frame started from 9 a.m. 'till 3 p.m. The circuit breakers and an exclusive switch solely for the unit was also done within this time. To prevent the cool air from coming out, the side of the window's open space were filled with the silver insulation foam coil! Afterwards, the air-con was successfully installed! As you can see in the last image, this is how our installed unit looks like. It was not yet fully designed. My mom with put other more decorations to it such as window and air-con curtains! 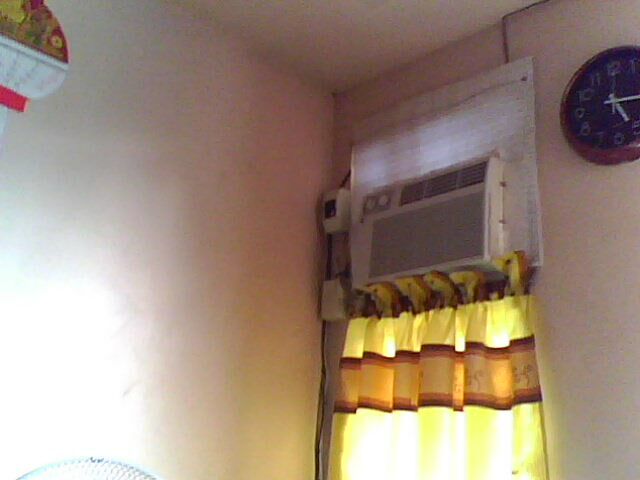 Don't worry because this is only my first part of featuring our air-con unit. On the next part of my post, I will let you see the decorated air-con in our wall. For now, I just told you the installation process of our unit! 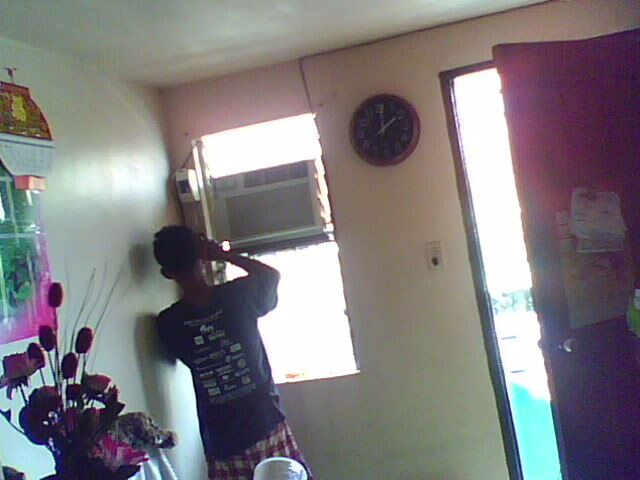 wow kuya rocky, ang bongga mo.. may air con na kayo.. congratz!